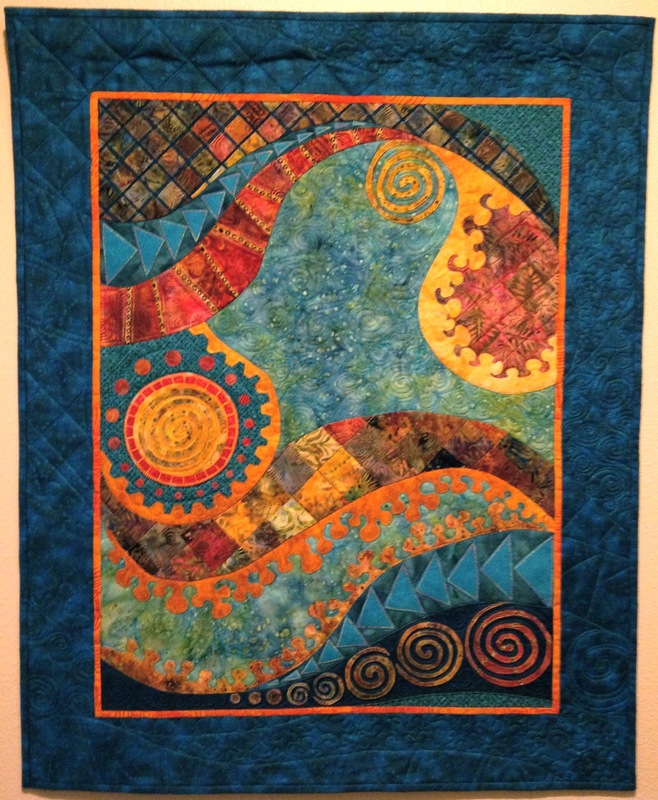 Below is the finished quilt I started in Gloria Laughman's workshop way back in September 2012. I completed it mid-February but am just now getting around to posting the photos (life has been busy). I had finished the appliquéd section, added the border then just stared at the piece on my design wall for several weeks, mulling over ideas about how to do the final quilting. Feb. 19 was my self-imposed deadline to complete the quilt as I knew I would be out of sewing commission for about 8 weeks after that (3 weeks in New Zealand followed by rotator cuff surgery on my left shoulder). As my deadline approached I just decided to go for it and here is the result. I extended the quilting from the appliqued area into the border in an attempt to pull the two parts together. Currently I am recuperating from shoulder surgery and slowly figuring out how I can resume gardening and quilting one-handed. Projects are beginning to line up: two baby quilts, a bedspread, a table runner, a small table cloth and some sort of wall hanging that captures a snapshot of our trip to New Zealand. Awesome! 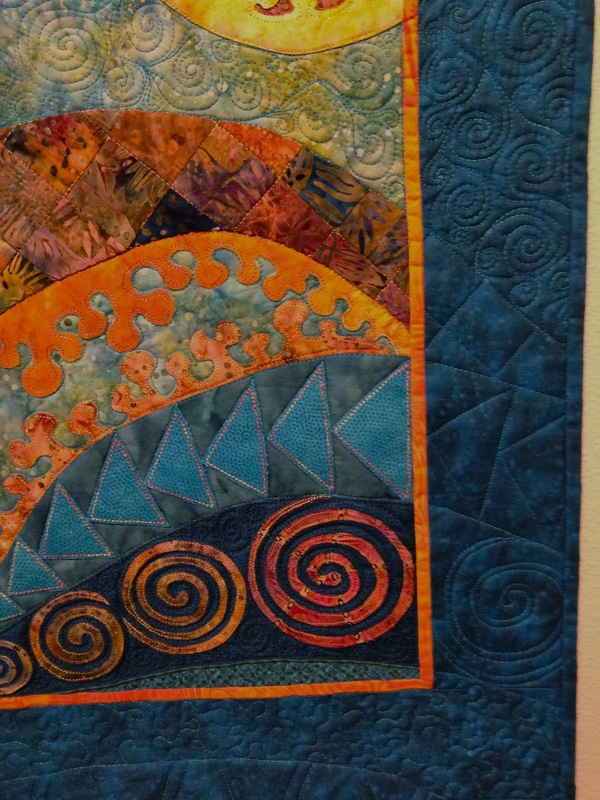 I love your quilting details! Lovely as the shot of the entire piece is, I spent more time just staring at the detail photo...thanks for including it!